Toads emerge from their winter hibernation and move to water in order to breed. 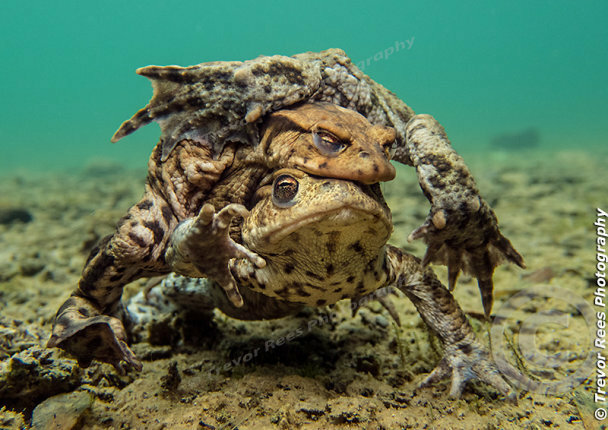 Seen here is mating behaviour of the common toad (Bufo bufo) - photographed in spring time, underwater in a flooded quarry. Camera Olympus TG4, Olympus underwater housing.